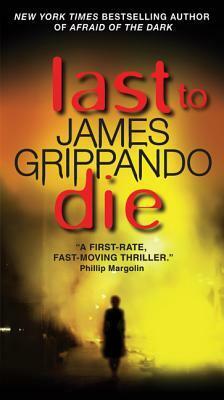 Last to Die (2003) is novel number three in the series of crime thrillers featuring attorney Jack Swyteck by The New York Times best selling American author and lawyer James Grippando. This is one of the many books that have been in our bookcase a long time before being read. This is an excellent book and Dolores and I recommend it for your reading list. 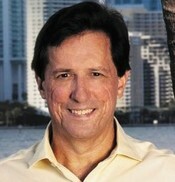 "In an exciting new series that critics have called "John Grisham meets Robert Ludlum," Miami criminal defense lawyer Jack Swyteck faces his biggest challenge yet. Sally Fenning was worth forty-eight million dollars when she died. Money had never made her happy, so she left it all to her enemies—left it for them to fight over, that is. She named six heirs in her will, but there's a catch: No one gets a penny until all but one of the heirs are dead. It's survival of the greediest. Quickly the lawyers gear up for a bitter legal battle, but Jack braces himself for much worse. He alone knows that heir number six—Tatum Knight—is a professional killer. As the heirs begin to fall, Jack and his unforgettable sidekick, Theo, are in a race against time to discover if Tatum is behind all the killing. Or is someone even more frightening, more dangerous, the odds-on favorite to be the last to die? From the harrowing first scene through its shocking climax, Last to Die delivers nonstop action and chilling suspense that fans around the world have come to expect from bestselling author James Grippando." Good morning, Roy. This certainly sounds like an exciting story. Happy Friday! Good morning Roy. You will be amazed since I normally do not read fiction, but I am a James Grippando fan. I have read one of his books and will read the others. Enjoy your day! Book worms everywhere are sure to appreciate your book recommendation, Roy. Thanks so much for your comments. I hope you are reading a good book. Roy, thanks again for this recommendation, but am really busy right now to do much reading. Thanks for the recommendation, Roy. My reading list keeps growing. I need to start reading a little faster.